Shippers will start seeing random container inspections from Maersk on U.S. imports and exports. While the inspection project is starting in the U.S., it can be expected that the program will eventually expand to other regions and that other carriers will likely undertake similar projects. Regular readers of Universal Cargo’s blog will probably remember the tragic fire on the Maersk Honam, which killed 5 of the 27 crew members on the maiden voyage of the 15,262 TEU megaship. The suspected cause of the fire? Misdeclared cargo. 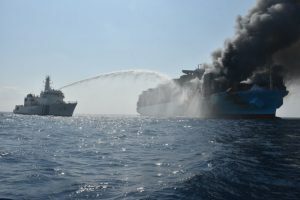 While the Maersk Honam fire was one of the 10 biggest international shipping news stories of 2018, containership fires are actually frighteningly common. The fires onboard the Hapag-Lloyd ship Yantian Express off the coast of Nova Scotia and the car carrier Serenity Ace in the North Pacific are highlighting what have become frighteningly commonplace occurrences. The first week of 2019 brought a spate of serious shipping accidents that has continued this week. On Tuesday a fire and series of explosions on a tanker off of Hong Kong resulted in the death and injury of several crew members. South China Morning Post reports one crew member died, two are still missing and seven were taken to a hospital when the Vietnam-registered tanker Aulac Fortune exploded as it was taking on fuel. Weekly container fires and container cargo fires at sea every 60 days?! This is not only a reminder of the importance of cargo insurance, but it is also a major problem for the international shipping industry in general. So Maersk is doing something about the problem with these random container inspections. It is not only misdeclared contents of shipping containers that is a problem in container shipping but also improper packing of the contents. Maersk’s container inspection process will hopefully decrease misdeclaration and improper packing of ocean freight containers that cause such danger and damage in international shipping. Maersk will pay for the program as it launches, but that doesn’t mean shippers won’t see any monetary effects. 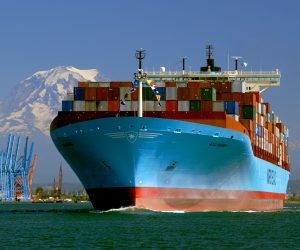 It is unlikely Maersk will add a general fee to U.S. shippers in order to cover the costs of this program. Such a fee would be a bit of a competitive disadvantage versus other carriers. 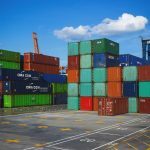 However, shippers whose containers are inspected and found to have cargo improperly packed or misdeclared will certainly see increased costs through fees and delays. There are even legal consequences a shipper could face for the misdeclaration of good. Hopefully, Maersk’s execution of this program will be smooth, so inspected containers without misdeclaration or improper packing will not experience delays. We will have to wait until the program gets underway to see if any shipping containers without issue get delayed by a random inspection. Since Maersk’s cargo inspections are set to be random, there’s no way for U.S. shippers to try to avoid being one of those whose shipping containers get inspected. However, avoiding problems that could arise from being inspected is possible. The obvious thing to do is make sure the contents of your containers are always properly declared and packed, which shippers should already be doing anyway. Yes, that means diligence, and probably double-checking, with your customs clearance paperwork and container packing procedures. If you ship with Universal Cargo, we will walk you through everything you need for your imports and exports. When it comes to packing, the International Maritime Organization (IMO) has a Code of Practice for Packing of Cargo Transport Units (CTU Code) that shippers should follow for the safe transport of their goods. 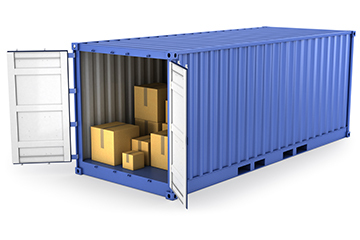 Hiring professional shipping container packers is always a good idea too, and is required for insurance purposes of many types of goods. Misdeclaration and improper packing of shipping containers not only puts the guilty shippers’ cargo at risk but also puts the cargo and lives of others at risk. That Maersk is doing something about this problem is good news for shippers. Always make sure your business follows proper packing and declaration of its import and export cargo. And know that Universal Cargo is always here to help.